An innovation in free speech. I know I’d much rather watch advertisements than most ‘entertainment’ programming. We march collectively toward self-annihilation. Corporate capitalism, if left unchecked, will kill us. Yet we refuse, because we cannot think and no longer listen to those who do think, to see what is about to happen to us. We have created entertaining mechanisms to obscure and silence the harsh truths, from climate change to the collapse of globalization to our enslavement to corporate power, that will mean our self-destruction. If we can do nothing else we must, even as individuals, nurture the private dialogue and the solitude that make thought possible. It is better to be an outcast, a stranger in one’s own country, than an outcast from one’s self. It is better to see what is about to befall us and to resist than to retreat into the fantasies embraced by a nation of the blind. If the only real achievement of Barack Obama’s presidency is to have opened the eyes of Americans to the depth of the corruption and control of the elites, then he will have achieved more than I expected. “Banksters,” the cover of the Economist magazine charges, depicting a gaggle of bankers dressed as extras off the “Goodfellas” lot. The editors were reacting to Libor-gate, the collusion among traders of major banks to fix the London interbank offered lending rate, the most recent, most obscure and the most explosive revelation from what seems a bottomless pit of corruption in global banks. Once more the big banks are exposed in systematic fraudulent activity. When Barclays agreed to a $450 million fine for trying to rig the Libor, its CEO offered the classic excuse: Everyone does it. Once more the question remains: Will CEOs and CFOs, as well as traders, be prosecuted? Or will they depart with their multimillion dollar rewards intact, leaving shareholders to pay the tab for the hundreds of millions in fines? In June, just 80,000 jobs were created. That’s only 11,000 more than in May and still below what’s needed to keep up with population growth. As a result, the overall unemployment rate remained stuck at 8.2 percent. To the detriment of us all, the GOP has opted out of taking any responsibility for fixing the entirely solvable problems of employment and economic growth. Mitt Romney escaped the record heat this weekend by attending several parties in his honor in the Hamptons. Early predictions were that one afternoon in this elite enclave would net the candidate more than $3 million for his campaign. Less than 200 miles away in Philadelphia, where the median income hovers at $36,000 and a quarter of the city lives below the poverty line, there were no beach parties, but some disturbing news. The Philadelphia Inquirer reported that state election officials upped the number of statewide voters potentially affected by the new voter ID laws from the 90,000 that Governor Corbett claimed to 758,000. A full 9.2 percent of the state’s eligible voters could be turned away from the polls in November, despite being eligible. In Philadelphia, where over half of the city’s residents are people of color, 18 percent of registered voters lack proper ID under the state’s new laws-laws that Pennsylvania House leader Mike Turzai claimed will deliver the state to Romney in November. These twin anecdotes seem to perfectly capture the GOP 2012 plan for victory: “voters out, money in.” Despite the massive capital advantage the Republicans have accrued, they’re still driving a strategy of disenfranchisement and destruction that imperils our democracy and seeds distrust among a populace already experiencing record lows of confidence in their elected leadership. If Americans want the time for both families and successful careers, we have to demand policies that will allow us to work less. Women have taken the workforce by storm over the past half-century, entering it in droves. That means that many families now have two parents in the workforce, disrupting the Leave It to Beaver family structure in which one parent (i.e., Dad) goes to work to make money and one parent (Mother Dearest) stays home to tend to the house and raise the children. According to the Center for American Progress, today less than a third of all children have a stay-at-home parent, while over half did less than thirty years ago. In fact, nearly half of all families with children have two working parents. Anne-Marie Slaughter, the first woman director of Policy Planning in the State Department, sent Internet sparks flying when her recent Atlantic cover story told women that, yes, she’d tried to have it all-an elite career and a happy family-but, she couldn’t do it. And, she told readers, neither can any other woman. 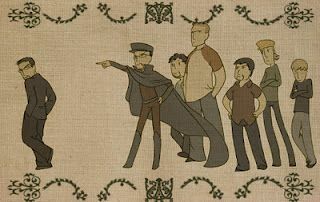 In the midst of the ensuing firestorm, a simple reality emerged: men can’t have it all, either. The solution to work-life balance lies not in the battle of the sexes, but in the policy fixes that have stalled for decades in the United States while we have watched the rest of the world, including developing countries, pass us in the race to make life better for working families. That’s a race that Americans seem to be largely unaware of, despite its importance. The personal story Slaughter conveyed was unusual. Not every woman works in Washington while her family lives in Princeton, or has to pull all-nighters on her office couch while worrying about her teenage son. Yet the tug of war between work and family-that never-ending balancing act that all families attempt to perfect-is far from unusual. Instead of concluding that we have to reject the women’s movement’s promise that women could “have it all,” it’s time to acknowledge that many of the same limitations hold true for men. Getting home in time to read a bedtime story and kissing the kids goodnight is becoming important for fathers, as well as mothers. Leslie Savan: By Dumping on Mitt, Is the GOP Making a Steal Plausible? It’s actually good, from a Republican point of view, that party powers like Rupert Murdoch, his Wall Street Journal and Bill Kristol are piling on Mitt Romney as a lousy candidate now, in July. And not just because it gives Romney a chance to shake up his campaign and satisfy his overlords’ demands over the summer. (He’s already begun.) But by squeezing him through the Adjustment Bureau now, the top GOPers can, by November, sing another tune: Romney is a plausible candidate, he can beat Obama. That way, if he “wins” with the help of massive voter suppression, it won’t seem so much like they’ve stolen the election. On this day in 1789, Jacques Necker is dismissed as France’s Finance Minister sparking the Storming of the Bastille. Necker was seen as the savior of France while the country stood on the brink of ruin, but his actions could not stop the French Revolution. 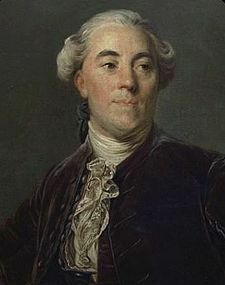 Necker put a stop to the rebellion in the Dauphiné by legalizing its assembly, and then set to work to arrange for the summons of the Estates-General of 1789. He advocated doubling the representation of the Third Estate to satisfy the people. But he failed to address the matter of voting – rather than voting by head count, which is what the people wanted, voting remained as one vote for each estate. Also, his address at the Estates-General was terribly miscalculated: it lasted for hours, and while those present expected a reforming policy to save the nation, he gave them financial data. This approach had serious repercussions on Necker’s reputation; he appeared to consider the Estates-General to be a facility designed to help the administration rather than to reform government. Necker’s dismissal on 11 July 1789 made the people of France incredibly angry and provoked the storming of the Bastille on July 14. The king recalled him on 19 July. He was received with joy in every city he traversed, but in Paris he again proved to be no statesman. Believing that he could save France alone, he refused to act with the Comte de Mirabeau or Marquis de Lafayette. He caused the king’s acceptance of the suspensive veto, by which he sacrificed his chief prerogative in September, and destroyed all chance of a strong executive by contriving the decree of 7 November by which the ministry might not be chosen from the assembly. Financially he proved equally incapable for a time of crisis, and could not understand the need of such extreme measures as the establishment of assignats in order to keep the country quiet. Necker stayed in office until 1790, but his efforts to keep the financial situation afloat were ineffective. His popularity had vanished, and he resigned with a broken reputation. So can Cadel Evans come back? If he does it will be on stages like today’s. It starts flat enough, but has category 3, 2, and un-categorized climbs. The Award point is at the end of the decent from the initial category 2 and just before the uncategorized ascent. Evans could show climbing chops, Wiggins could show weakness, there could be a bus. Today and tomorrow are the best days short term to create some kind of climbing get away and keep in mind that Evans doesn’t just have to erase his 1:43 deficit, but also a build lead of about 2:00 o he doesn’t get crushed in the 19th stage. Team, Hill Climbing, and Youth in yesterday’s piece. I won’t wast your time with any silly ‘race of truth’ metaphors. There is no doubt that Cadel Evans lost ground in the Individual Time Trial in exactly the same way and proportions he did in the Prologue and while I wouldn’t tear up my tickets yet I will point out once again how difficult it is to make up because of the ‘Same Time’ rules. Like it or not Le Tour has become a race of trialists. Now the good news is there are not a lot of bodies between Evans and the lead which mean a single bus will suffice for now, though Froome is uncomfortably close. And hints of a deal seemed unlikely after Morsi’s decree, which stipulated that parliament reconvene and continue its duties until a new assembly is elected, scheduled for 60 days after Egypt drafts a new constitution. Morsi’s decree directly contradicts Scaf’s wishes, and underlines his determination to take control of the country’s executive. Morsi’s decree is a reversal of the Scaf decision to dissolve parliament, not the SCC ruling that deemed it invalid, said El-Essawy. “He reversed the Scaf decision, using the same executive powers they had. He has not reversed the court ruling which he respects and that’s why a new parliament will be elected after the constitution,” he said. Tuesday’s assembly was boycotted by a sizable number of liberal MPs while an independent MP, Mustafa Bakri, had already announced his formal resignation from parliament due to its unconstitutionality. Lawyers representing Morsi criticised the court’s latest decision and said Tuesday’s ruling was a political move that would further complicate the crisis. Morsi’s decree was hailed by those who want to see the army return to barracks, but it was criticised by those who fear an Islamist monopolisation of power as a “constitutional coup”. To some extent, the military’s power – along with economic realities – may have inclined Morsi and the Muslim Brotherhood to a more pluralist and moderate course. But if the generals overplay their hand, they will lose popular support and antagonize Egypt’s allies, including the United States, which provides the military with $1.3 billion a year in assistance. Both Congress and the Obama administration have put the generals on notice that those funds are in jeopardy if the transition to democracy is thwarted. An attempt to shut down a reconvened parliament would be interpreted inside and outside Egypt as just such an obstruction. 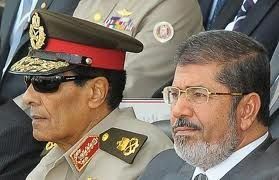 So far, the Mohamed Morsi 0 – Egyptian Military 1.